2017 Colorado Case – Proves Once Again – Never Talk To The Police! Colorado Criminal Traffic Lawyer Series – Driving Under Suspension – Points 42-2-127 C.R.S. Weaving Within My Lane In Colorado – 42-4-1007- Can They Stop Me For Suspected DUI? Colorado DUI Law – Is it Possible To Raise An Involuntary Intoxication Defense? Colorado Criminal Lawyer Series – Will I Lose My Nursing License In Colorado If I Get A DUI? When An Out Of State Resident Is Convicted Of A DUI In Colorado – What Happens Now? Is Taking Ambien A Defense To A Charge Of DUI – DUID In Colorado? When Is The Interlock Device Required? The Ignition Interlock is a device installed in the motor vehicle at the driver’s expense by an approved interlock service provider. The device requires a breath sample of the driver before the vehicle can be driven and it demands breath samples at random intervals during the driving episode. If measurable alcohol is present in the driver’s system, the device prevents the normal operation of the motor vehicle. Colorado’s Ignition Interlock Program began as a statewide pilot in 1995. The State dramatically expanded the program in 2009 with legislation requiring first offender participation. 2. 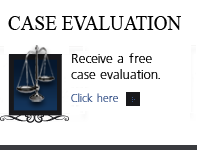 Adding an evidence-based sentencing component. The law created strong incentives for first-time Colorado DWI offenders to participate in the interlock program. Previous Colorado laws had required interlocks only for second or subsequent DUI arrests (according to Colorado’s Department of Revenue, this is less than a quarter percent of all DUI arrests in Colorado). The law created a substantially larger program in terms of both types of offenders using the device. The incentive for first-offender participation is a reduction of the nine-month hard revocation to one month, followed by eight months of interlock-restricted driving for those offenders who participate voluntarily in the interlock program. 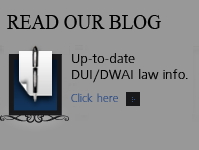 Recognizing that not all first-time DWI arrests have the same likelihood of leading to re-arrests, the revised program also included an evidence based sentencing component. Accordingly, first-time, non-high-BAC offender interlock program participants with four consecutive months without any interlock violations or circumventions are permitted to return to an unrestricted license. First offenders with an arrest BAC of .15 or greater are ineligible for this early release and must serve two full years on the interlock. Ignition Interlock is a device that is installed on motor vehicles to prohibit individuals from operating a vehicle while under the influence of alcohol. It requires your breath sample before the engine will start and you are periodically required to provide breath samples while driving. If the device detects an elevated alcohol concentration level the vehicle will not start. “Alcohol setpoint” means the breath alcohol concentration at which the ignition interlock device is set to lock the ignition and prevent the vehicle from being started. Interlock devices are wired beneath the dash of a vehicle and require a clean breath sample to start the car. Units prevent the car from starting if a blood-alcohol content of 0.03 percent or above is detected. A person has three tries to blow a clean sample before the device shuts down and requires a technician to re-calibrate it. Cars with an interlock ignition will start only after drivers have proven they are sober. The driver breathes into the device for a required amount of time. The alcohol in the breath is measured, and that information is passed to a computer. The car will not start. Drivers can test again in 5 minutes. The cars ignition will lock. It can be unlocked only by a technician. While driving, the device will prompt for a retest. The failure is recorded and reported at monthly check-ins. The figures below show how much the average man or woman would have to drink to exceed the legal blood-alcohol limit of 0.08 percent in Colorado. One drink is a 12-ounce beer, 4-ounce glass of wine or a shot of hard liquor. It takes about an hour for the body to eliminate one drink. The interlock restricted driver must lease the device from an approved provider, must appear for periodic inspections and data downloads, must drive only an interlock equipped vehicle, and must keep the interlock in place until authorized to remove it by the DMV. The interlock provider reports performance to the DMV. For everyone in Colorado’s Ignition Interlock Program, if the monitoring reports reveal continuing attempts at drinking and driving, the license restriction and the requirement for the interlock will be extended. If the interlock restricted driver drives a non-equipped vehicle, or attempts to tamper with or circumvent the interlock device, then the driving privilege will be completely revoked and cannot be restored for any type of driving for at least a year. At the end of the revocation, the person must again have an interlock restriction. If you have questions about The Colorado DUI Interlock Program in the Denver metropolitan area and throughout Colorado, attorney H. Michael Steinberg will be pleased to answer those questions and to provides quality legal representation to those charged in Colorado adult and juvenile criminal matters. 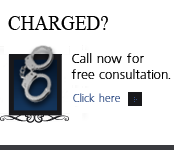 In the Denver metropolitan area and throughout Colorado, attorney H. Michael Steinberg provides quality legal representation to those charged in Colorado adult and juvenile criminal mattersas regards the Colorado DUI Interlock Program.